Happy May everyone! May is one of the busiest months for my family. We have the end of the school year, Mother’s Day, Dance pictures (which is a whole production ha! ), my fathers birthday, and most importantly, my daughters birthday! My little girl is turning 7 this year, which is something so hard to believe! I swear just last week I was changing her diapers. How does time move so fast!? Step 2: Blend it up! Really guys, this is the easiest recipe ever! 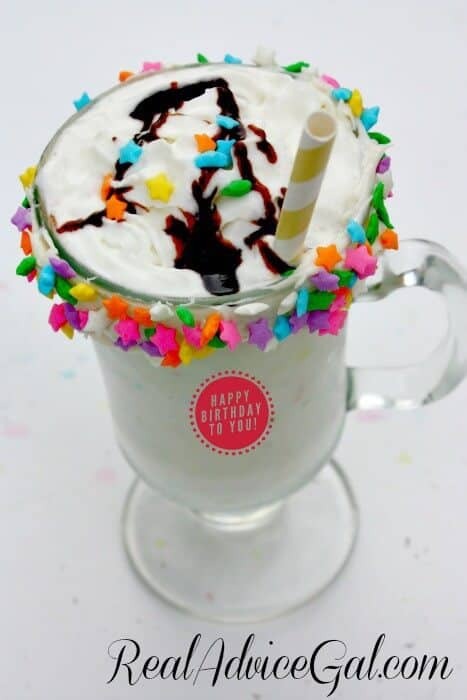 Step 3: Pour your Birthday Cake Milkshake into a glass and top with whip cream and sprinkles. 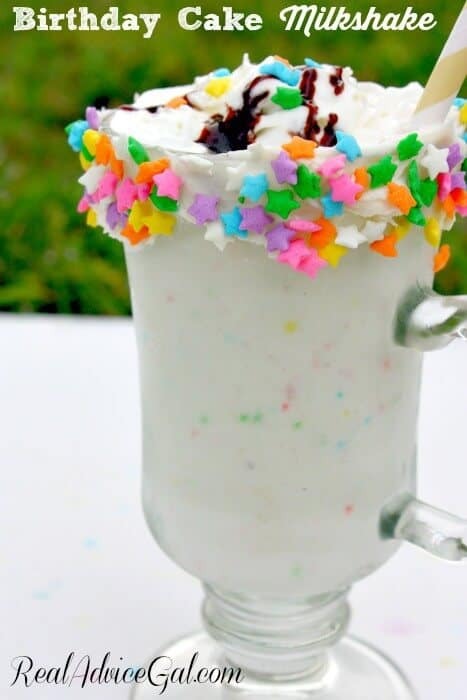 If you want to get really fancy you can take some frosting and spread it around the rim of your glass and roll your glass in sprinkles for a fun festive look! That’s it! 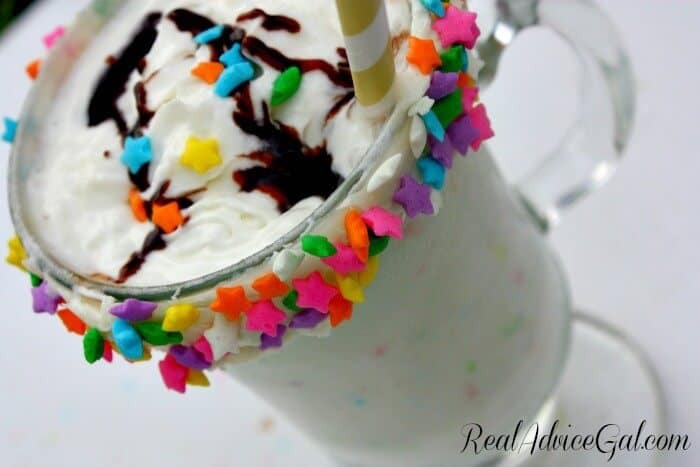 3 ingredients, 3 steps, and about 4 minutes and you have an awesome birthday (or any other day!) treat that everyone is sure to love. 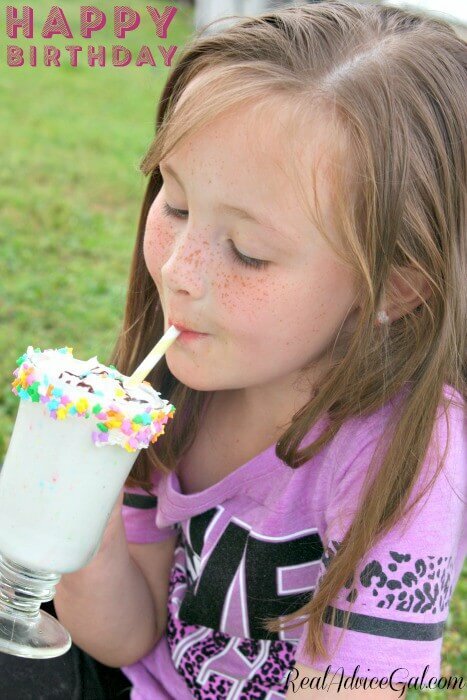 This Birthday Cake Milkshake Recipe was a huge hit in my household. Fair warning, it is VERY sweet, so unless you are a big lover of super sweet recipes, you will only need a small serving of this to satisfy that sweet tooth!